Thank you all! The bands performed spectacularly at the two Mission Attendance Area concerts this month. The band students and their instructors shared their love of music and deserve a well-deserved congratulations on their accomplishments. FEF also thanks you for your generosity and support of the elementary After School Band Program—at last night’s concert we received over $3,100 to keep music in your elementary school! FEF truly appreciates your wonderful show of support—and, in case you were curious, your contributions resulted in the largest donation received this band concert season! Thank you again and have a fun, safe, musical summer! The Music Department of Hopkins Junior High School proudly presents a series of free concerts. Unless noted above, all concerts start at 7pm and take place in the Hopkins Gym. 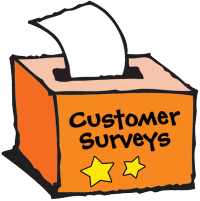 For the third year, FUSD is conducting an annual Customer Satisfaction Survey. The Customer Satisfaction Survey provides valuable information to stakeholders about FUSD schools. Developed with input from parents, teachers, school based personnel, and students, the Customer Satisfaction Survey documents the perceptions of parents, staff, and grade 4-12 students about their experiences at their schools. The surveys ask respondents about the opportunities students have to learn and be leaders at their schools, how welcoming and collaborative parents perceive the environment to be, support, the cleanliness and safety of the campus, and parent engagement. Respondents at all elementary, junior high, and high schools will complete surveys online. All parent surveys must be completed by June 20, 2014. The online survey can be accessed at http://www.fremont.k12.ca.us/parentsurvey2014. We appreciate your participation in this important effort.